Whether you’re launching a start-up, growing or expanding your existing business, or entering a joint venture, Miller Monroe & Plyler’s attorneys have the perfect combination of legal skills and business experience to serve your needs. Miller Monroe & Plyler represents a wide range of businesses, investors, shareholders, and individuals – from large national corporations to small local businesses. Our corporate law and contracts practice is focused on diligent and skilled representation in the most cost-effective manner possible. Our lawyers have the business experience necessary to guide you through business formation, growth, and dissolution. As business leaders, our lawyers have worked through complex accounting and tax issues, developed marketing plans, managed multi-million dollar budgets, and led dozens of employees. We take the time to understand your business goals in order to create documents that allow you the freedom to pursue growth opportunities while minimizing unnecessary risks. For one reasonable rate, you get a skilled lawyer and an experienced business advisor. Miller Monroe & Plyler will work with you to understand your unique goals and to develop a strategy that maximizes your resources. We are available to answer all of your questions and concerns – promptly and thoroughly. When you call, you will speak to your attorney. 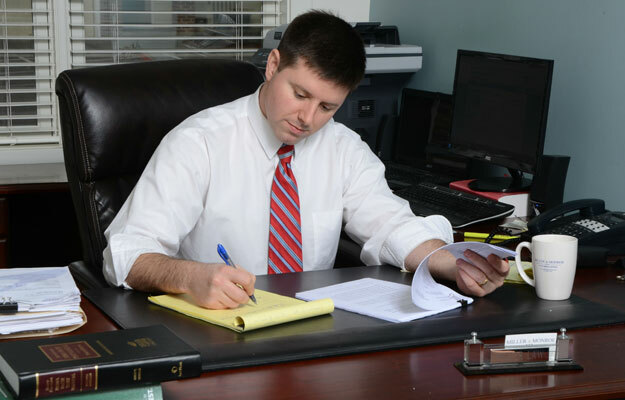 If your attorney is not available, we will return your call promptly and address your concerns. Your business is critical to Miller Monroe & Plyler and we will keep this in mind at all times.